Tired of Poorly Fitting Dentures? At Park Dental of Colmar, we know how loose dentures can drive you crazy. Don’t worry! We have a solution. 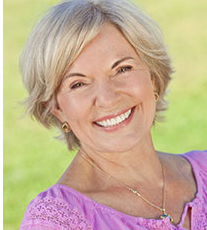 Dr. Park can design and fit natural-looking dentures that won’t slip! Modern techniques permit the secure fit of your denture plate in such a way that you can rest easy about eating and talking. If you’re a denture wearer, be sure to ask us how we can make your life so much more comfortable.